As I mentioned late last year, one of my goals for 2016 is to update my home management printables. 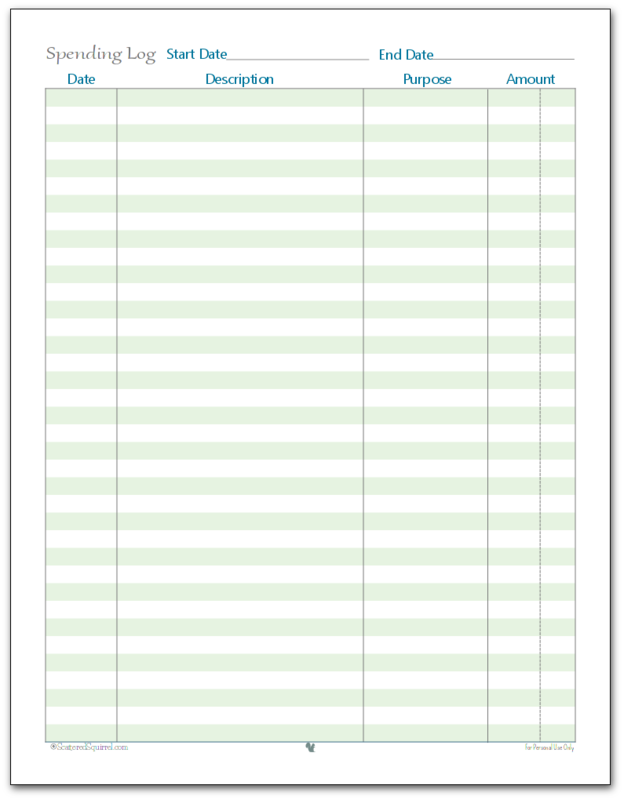 In that post, I said I wanted to start with updating the finance section and I shared the new family budget printables. Earlier this month when I put out the call for your requests for what home management printables you needed, I was surprised by the number of responses that wanted more finance printables. So, I’m kicking off the new Reader Request series with some of the finance printables you requested! I find making printables like these a little tricky. Everyone has their own way of keeping track of things like their finances, and what works for me and my family might not work for everyone. So I focused on a few key areas people seem to need to keep track of and, as always, tried to keep them simple. I hope you find some use for them. 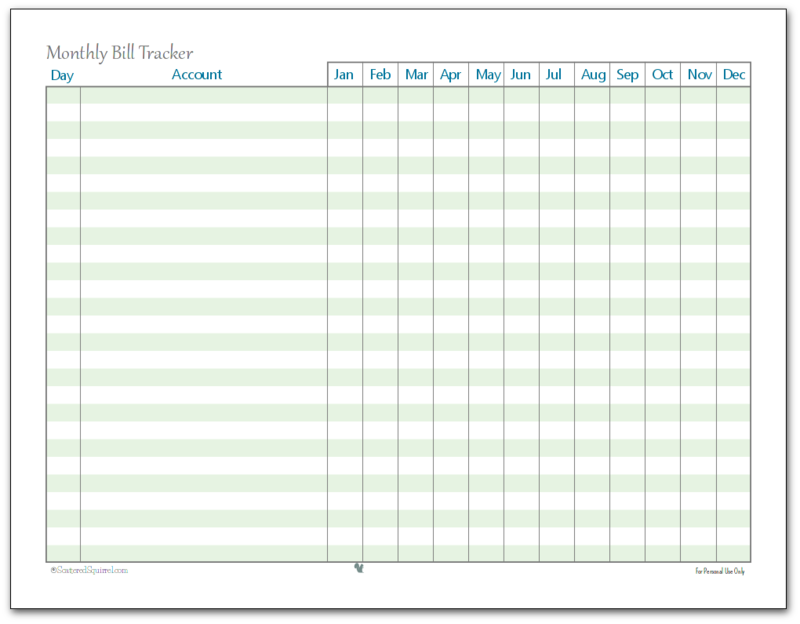 This first printable is an update of my original monthly bill tracker. This printable is really easy to use. When I set ours up, I wrote down all our bills that we have to pay, and looked up when each was due. I wrote these all down on a piece of lined paper. The I jotted them down on the printable in chronological order so I could keep track of what needed to be paid and when. Since most of our bills are the same each month I put down the amount in brackets after the account name. Each line is a different bill, and my sheet is not full. We don’t have that many bills to pay. For accounts that don’t get paid monthly, such as our water, sewer, and waste removal which is every three months, I simply cross out the months that don’t apply. A friend of mine has a couple of bills that are paid twice a month. She simply divides the monthly sections in half for those bills. Next up we have what I called a Spending Log. There are so many ways this one could be used. If you decide to use more than one of these for different spending areas, make sure you write what you’re tracking at the top of each page, so you know which is which. Keeping track of our spending is important, but so is tracking our savings which is why I made a Savings Tracker. Date – this one probably needs no explanation, but just in case, it’s for the date you deposit the money into the account. Account – this part is for those who have various savings accounts for different things like vacations, retirement, emergency fund, children’s schooling, etc…. You could use a different sheet for each savings account you have if that works better for you. 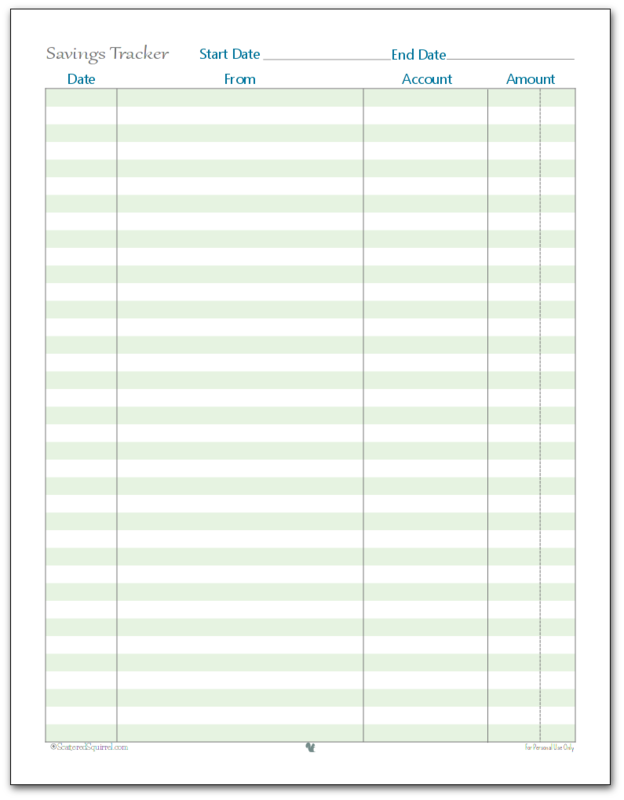 The last finance printable I have to share today is the Debt Payment Tracker. I put some careful thought into this one. I wanted to make sure it was easy to use and would make sense to someone other than me. At the top of the page is a space to record your opening balance, or what you still owe. 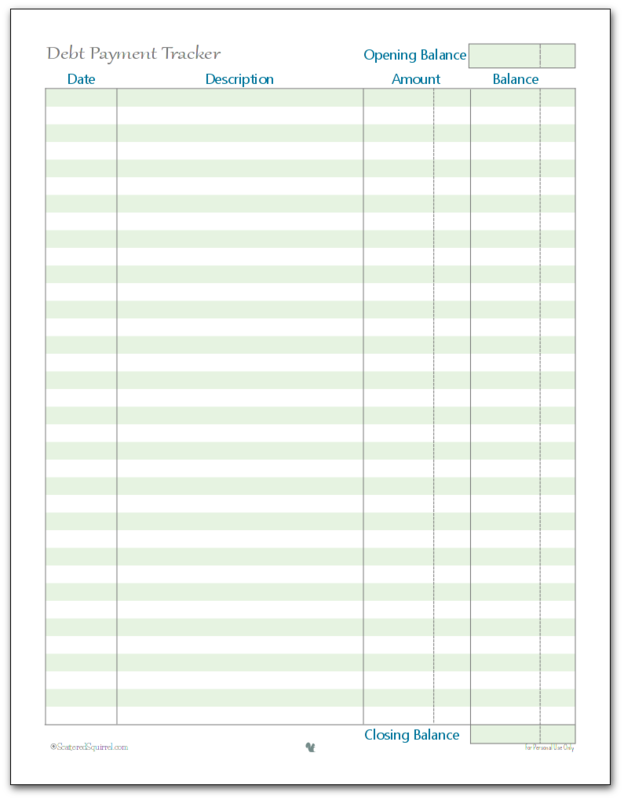 At the bottom is a space to write in your closing balance when you reach the bottom of the sheet. That balance can then be easily transferred to the top of a new page when you need it. The Description section is where you can keep track of whether it is a normal scheduled payment or an extra payment (which would be subtractions from the opening balance) as well as any additions that need to be added to the balance, such as interest or annual adjustments. Then there are the Amount and Balance columns to keep track of what you’re paying and a running total of what is left owing. Those are the new (and updated) finance printables. I am, by no means, a financial expert and I’m sure there are some things I missed or didn’t think of, but I think I covered the basics of what most of us need to keep track of when it comes to our finances. And before you ask, YES, you can can find the half-size verisons in the post “Half-Size Finance Tracking Printables”. 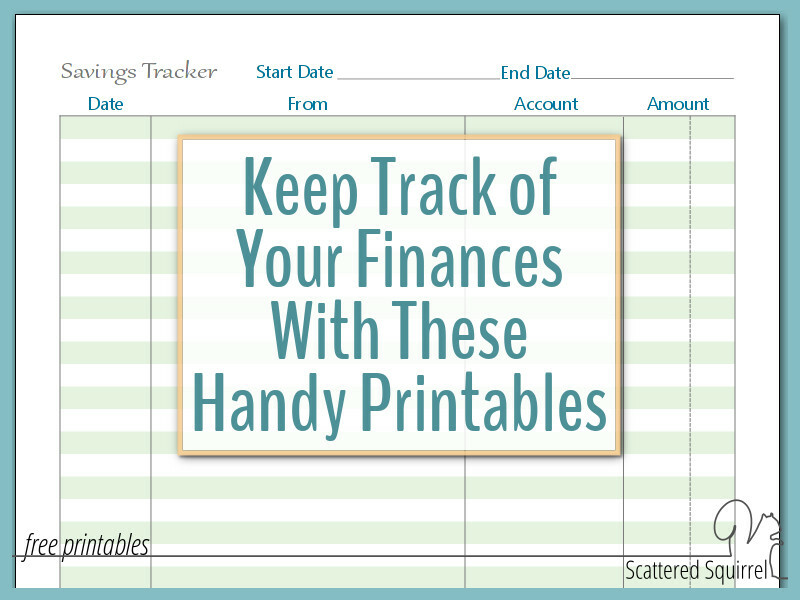 The finance printables are just the first of a series of home management printables that I have planned to share. If you’re in need of some tools to help you management home and family life, I hope you’ll stop by again next week when I’ll be sharing, even more, printables. And if there is a printable you’re in need of and hoping I’ll include, please hop on over to the post, You Tell Me! What Home Management Printables Do You Need? and let me know in the form. (all submissions are anonymous) I’ll be leaving that open for responses until January 24th. So don’t wait too long. I’d love to hear what you think of these printables. Drop me a line in the comments below and let me know! Will be checking back for the half-size sheets! I really really like how you added the opening/closing balance to the debt repayment sheets – by not just looking at a payment or a normal bill, but an actual balance to work on getting lower and lower until it’s gone, that’s super important with debt! Fantastic addition! I will be using the savings sheet, as I’m trying a new-fangled (lol) thing I read about saving what you saved from coupons for groceries. I’m fairly decent at using at least one or two coupons per grocery trip, and money is tight, so a couple of dollars a week may not sound like much (and it’s not) but it’s a place to start…and it’s also kinda sneaky (so far as not noticing any chunk of money gone). But because the amounts are so low, I can’t actually have a separate account for the money, so it will have to stay in my checking account, and I need somewhere to log that, so I can make sure that balance stays in my account! These are just lovely! I can’t get over how awesome it is that everything coordinates! It makes my OCD so happy :). Thanks again for all of the advise and printables! I found your website on pintrest and I love IT! yOUR PRINTABLES ARE AMAZING! Thank You! Do you have a printable wedding planner? Looking for to the half-sized sheet! Love these!! All I have to say is your awesome! Totally need these! These look amazing. I am hoping you add half size printables in the budget category. Thank you for these! You have a gift and you share it with us who don’t. May God richly bless you and yours for your kindness and generosity. Thank you so much for your kind words Debra! I’m happy that you are enjoying the printables.